Research found that, in terms of obesity and health problems related to weight, it doesn’t matter if you drink whole or skim milk. When asked about dairy recommendations for people ages 2 and older, most dietitians will advise people to choose low-fat (1 percent) or fat-free (skim) milk, which is also what MyPlate recommends. However, considering recent research, there are new views on dairy fat and how it can affect and better your health. Whole milk is called whole because none of the fat is removed during processing. It is actually 3.25 percent milk fat per gallon, and the 8 grams of fat accounts for only 12 percent of a person’s daily value. The other milks are the percent fat as they are labeled; 2, 1, and 0 percent fat per gallon. Dairy products containing milkfat are major food sources of saturated fat, accounting for about 21 percent of total saturated fat intake in the U.S. diet. The type of saturated fat found in dairy foods are considered neutral or beneficial to heart disease risk. We now know that there are different types of saturated fat, all with different effects on blood cholesterol. Most saturated fat in milk has no effect on moving cholesterol to body tissue, which can lead to heart disease, and no negative implications for your overall health. The saturated fat in milk may increase total LDL (low-density lipoproteins). LDL is known as “bad” cholesterol because a high enough level can lead to it building up in the arteries. However, fat in milk may raise HDL (high-density lipoproteins). HDL is known as “good” cholesterol because it carries cholesterol from body tissue back to your liver, which removes it from the body. As a result, the cholesterol in milk has a neutral effect. About 1 in 10 people have type 2 diabetes and 1 in 3 people have prediabetes, which can lead to type 2 diabetes. Whey protein found in milk may help prevent type 2 diabetes in adults. The proteins in milk improve blood sugar balance, and high blood sugar is a factor that causes type 2 diabetes. High blood sugar can also cause heart disease, vision loss, and kidney disease. The recurring idea that “all fat is bad” is just not true. Drinking milk is not linked to weight gain or obesity. 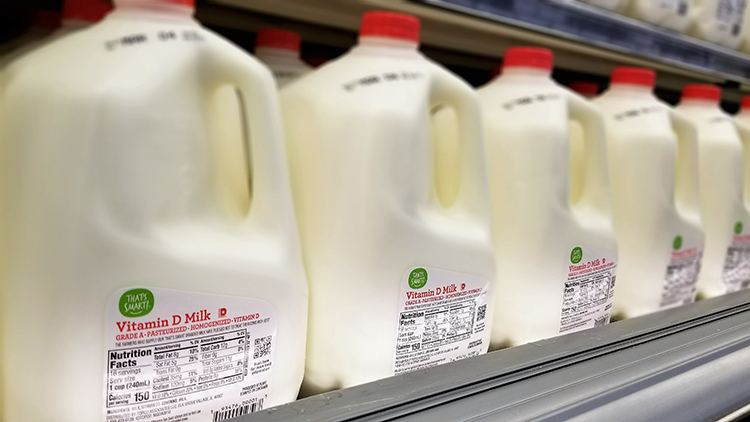 Consuming two servings of full-fat milk a day provides a person energy, curbs appetite, and studies show that it may lower weight gain around the stomach. Lastly, dairy is so much more than just fat. 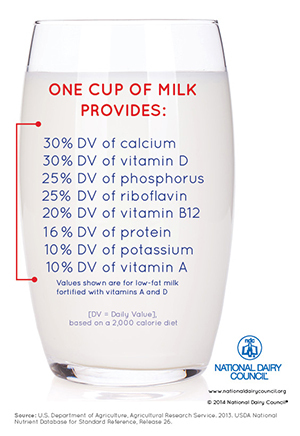 An 8-ounce glass of milk contains three of the four nutrients that the USDA says are under consumed by most Americans — calcium, vitamin D, and potassium. So, does fat matter when choosing milk? I would say yes, it does! Milkfat is beneficial for your heart, blood sugar, weight, and overall health.